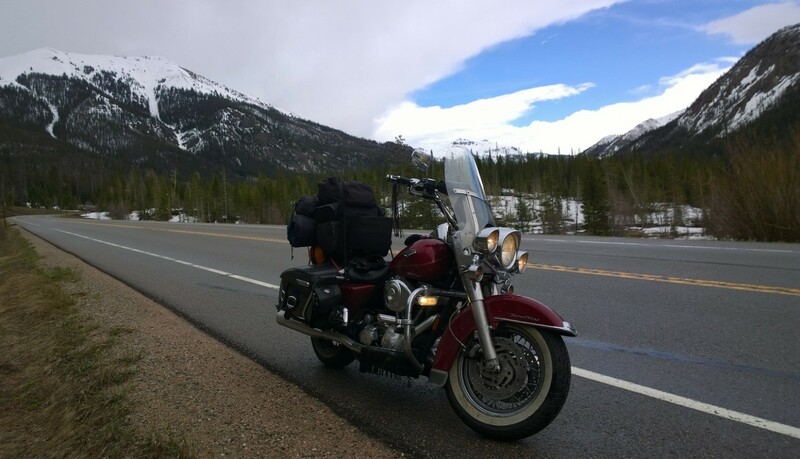 The Challenges of Winter Motorcycling: Part Three – Freezing Weather, Frozen Humor. As much as I love riding my motorcycle throughout the year, when it dips below 40 degrees F. (4 Celsius) my Harley and I have to have a “come to Jesus talk”. If I’m only tootling around town then I’ll hop on the bike. But if I’m doing the 50 miles (80 k) one way to work the story is different. First, I have to make sure the bike will start. If the temp goes below freezing at night the bike might just want to sleep in a bit more. One day it wouldn’t start, and I had to use my 1973 BMW bike, which ironically, cranked immediately. You have to love those Germans! I finally managed to get one of those portable jump starters so the 2004 Road King will always start now; one way or the other. Then, I have to look at my cold riding gear. I can’t afford the expensive stuff, so I’ve gathered a mix of things over the years. I do have battery operated heated gloves, but they only last an hour and don’t heat the top of my hands. (I have to have a spare battery pack for the way home.) I have long underwear, my regular trousers and then my rain trousers on top of them. Then, I have a long sleeve shirt, a sweater, my leather vest and a rain jacket on top. Because I’m short, stuffed up I look a lot like the Pillsbury Doughboy. Then I bought some incredibly warm socks that I wear. I have a full-face helmet and a black (Snoopy?) aviator’s silk scarf to wrap around my neck. That will keep me from being frozen for about 25 miles which is roughly the distance to a Starbucks, my stopping place on the way. I go back to work in three days and it’s supposed to be 38 degrees when I leave. I’m just going to forget about that for now. If you’ve got any cold riding tips, other than “don’t”, please let me know. Otherwise, if you see a guy next week on a motorcycle with icicles on his helmet that would be me. Don’t forget to wave. I’ll met you at the next Starbucks. I tried to capture the beauty of an Autumn ride and made these notes a few months ago. With a bright red door. Looking like their arms are crossed. Over the orange-scarlet colors of the sumac leaves. In the late 1960’s there was a TV show called The Time Tunnel about two scientists, Doug and Tony, who got caught up in a time machine. While their scientific compatriots were trying to bring them home Doug and Tony bounced around from one historic time period to another. This week they might show up on the Titanic; next week in the Badlands of South Dakota on the day when Custer made his last stand. Their appearance in another time zone was inevitably accompanied by them being thrown, tumbling out of the swirling black and white striped cave and onto the ground in their new temporary home. The philosopher Heidegger coined a term “Geworfen” which essentially translates to “being thrown”. He suggests that individuals are essential “thrown” into the world. We’re thrown into this world with an attendant list of people, circumstances, sufferings, and conditions that we had no control over but must make the best of. This is how I felt when I returned to the USA after having lived in Ireland for 17 years – as if someone had thrown me out of the time tunnel and I had landed here. I still feel it now and again when I’ve entered into some new situation, something unknown. As the poet Rilke put it: when “Our feelings grow mute in shy perplexity”. These feelings are accentuated when I travel long distance, especially on the Harley. I end up being thrown into towns where I don’t know anyone, and folks are eyeing me suspiciously. (People eye me suspiciously even in the town I live in!) The choice is to accept the way others see us, to live up to their expectations – to avoid the anxiety inherent in the possibility of freedom – or to embrace it. In addition to being thrown into our existence, Heidegger also says that humans are Sein-zum-Tode – “Beings toward Death”. (Those Germans have a word for everything! Mark Twain once exclaimed that eternity was invented by God so that people would have a long enough time to learn German!) Living with this truth, that we are all on the road to death, is not meant to be depressing, instead, it allows us to step out of our “Everydayness” (“Alltäglichkeit” in German), and to become more passionately aware of our freedom and choices. It reminds us to be aware that our time is limited, that we need to dare to be ourselves despite external pressures, so that we can move from an inauthentic way of living to a more authentic one. Along with Doug and Tony, we’re constantly being thrown out of the time tunnel. It’s up to us to decide and act upon, who we’re going to be. Savannah, Georgia, 1790 Inn, Ghosts, Sauntering through History, Craic, and Mindfulness on a Motorcycle Sojourn, Pascal. I had a couple of days off for Fall break and so I decided to head to Savannah. Savannah is featured in my last two and latest book – The Adventures of Sid- novels and I wanted to make the scene locations as accurate and vivid as possible. You can check out all of my novels here: https://www.genepowers.org/ . The biggest anticipatory problem with driving to Savannah from Rome, Georgia is that it’s pretty much 330 miles and you have to go through downtown Atlanta. But it wasn’t as bad as I thought it would be. Big Red, my 2004 Harley Road King cruised along beautifully, except for the red warning light about my battery that appeared and disappeared at random. I figured it was the regulator. I also figured that on a Sunday morning there wasn’t much I could do about it other than keep riding. After meeting with my buddy Joe and his family at Starbucks in Macon the battery light went to sleep for the rest of the trip. I decided to stay at the 1790 Inn again because it’s in the center of town, where I can walk everywhere and because part of it was built by my great grandfather who lived there with his family for years. Supposedly there are ghosts there, but there’s no extra charge for that. The hospitality is always wonderful at the Inn which is probably why the ghosts like to hang around. Not much I can say about Savannah that hasn’t been said before. My favorite bar is Kevin Barry’s Irish Pub and I have been visiting there for over thirty years. Irish beer on tap, Irish music seven night a week and no televisions or gaming machines. In 2016 it was voted the Most Authentic Irish Pub in the World, even beating out entries from Ireland, which is bizarre when you think about it. 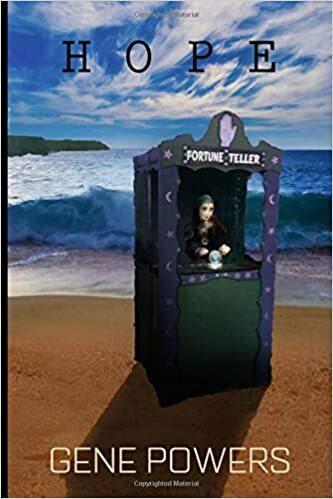 Some of my favorite places to eat are the Crystal Beer Parlor, Hilliards, the Pink House, and the Pirate’s House, which even gets a mention in the book Treasure Island! But what I love most is simply walking around the historic district, through the squares filled with majestic live oak trees and swaying Spanish moss. And traipsing down the cobblestone ramps to River Street. The historic area is not a great place to ride a motorcycle in, because of all of the stop and go traffic, the blind spots, pedestrian walkways, and the cobblestone roads down to River Street. Better to park the bike and walk. Save your riding for the beautiful trip along the marsh, palm trees and oleanders down to Tybee Island. Before I headed home I spent a couple of hours in the Inn’s bar. Nice comfy place with a lot of folks I could tell were regulars. However, every 15 minutes or so a wave of people flooded the place, having been dropped off for a drink by one of the Ghost Tour Operators. It was fun talking with some of them and hearing their thoughts on Savannah and on whether they’d seen any ghosts. None had so far and they didn’t seem to care. They were just enjoying the craic, as they would say in Ireland, the fun of it all.